Christine Pelisek is an award-winning journalist who's a senior writer with People Magazine. She received a Certificate of Appreciation from the City of Los Angeles for her work on the Grim Sleeper case. “Compounding the police investigation even further was the unfathomable: An unprecedented six serial killers were at work in the fifty-one-squaremile area. They were all hunting the same game: poor black women desperate to score a next hit of the highly addictive crack cocaine that was ravaging the working-class neighborhood, turning it into a gang-infested war zone. Police were focusing their resources on gang warfare and drug dealers, in a part of the city that often felt like a battlefield. And although the story I uncovered is one of grief and loss and justice and poverty and race and the plight of poor neighborhoods, at the heart of it are the lost women of South Central. In 2006, Christine Pelisek broke the story of a terrifying serial killer who went unchecked in Los Angeles for decades. Two years later, in her cover article for L.A. Weekly, Pelisek dubbed him “The Grim Sleeper” for his long break between murders. The killer preyed on a community devastated by crime and drugs and left behind a trail of bodies——all women of color, all murdered in a similar fashion, and all discarded in the alleys of Los Angeles. 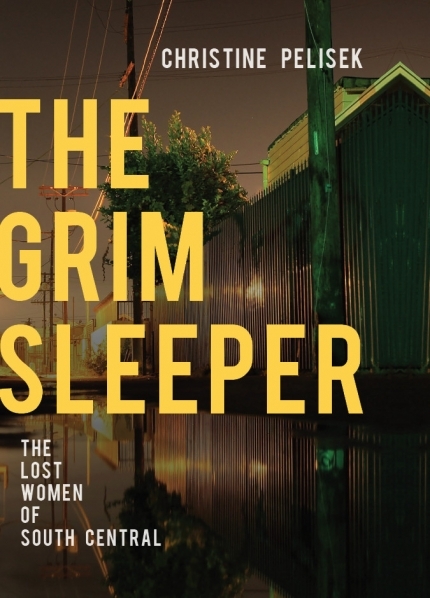 The case of the Grim Sleeper is unforgettably singular. But it also tells a wider story about homicide investigations in areas beset by poverty, gang violence, and despair; about how a serial killer could continue his grisly work for two decades in part due to society’s lack of concern for his chosen victims; and about the power and tenacity of those women’s families and the detectives who refused to let the case go cold.